It uses oil-resistent and aging-resistent synthetic rubber, with one-step mold pressing and high tearing-resistence. 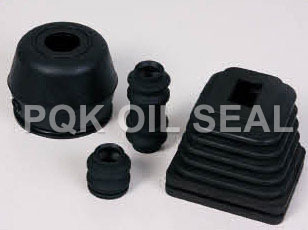 Applicated in dustproof and sealing for transmission shaft boots, traversing mechanism and drive shaft boots. Zhejiang Shangyu Oil Seal Co.,Ltd is a leading China dust cover manufacturer and supplier, our dust cover factory can provide customoers cheap dust cover products. Welcome to buy discount dust cover or wholesale products from us.